Farmers and crofters are invited to attend a series of hustings next month ahead of NFU Scotland’s (NFUS) elections. Three candidates are in the running for the two vice-presidential positions. They are: current vice-president Martin Kennedy, who farms near Aberfeldy; livestock committee chairman Charlie Adam, who farms near Alford; and combinable crops committee chairman Ian Sands, who farms at Balbeggie, Perthshire. All three will argue the case for their election at the hustings meetings, which start at McDiarmid Park, Perth, on January 7 at 7.30pm. An Argyll event is planned for January 11 at Stonefield Castle, Tarbert, at 1.30pm, while the north-east event takes place on January 17 at the Kintore Arms, Inverurie, at 7pm. The Orkney event is planned for January 21 at the Ayre Hotel, Kirkwall, at 7.30pm, and the Shetland meeting takes place on January 22 at the Shetland Hotel, Lerwick, at 7.30pm. Lastly, the Highland event takes place on January 23 at Dingwall Mart at 7pm. 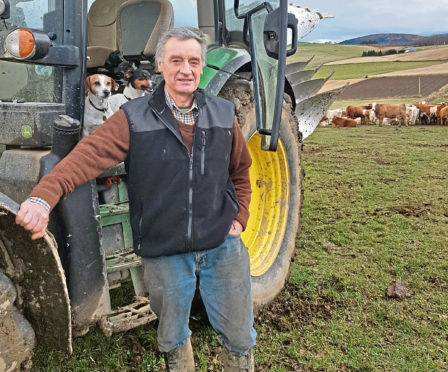 President Andrew McCornick, who farms in Dumfries, has not been contested and he will be reappointed for a further two years.